Parents are now vigilant regarding their kid’s dental health. For most parents, this means brushing and flossing twice every day and minimizing the consumption of foods that are too sugary. However, very few parents will pay attention to issues they regard as minor cosmetic setbacks in their child’s dentition. What they will not realize is that these ‘cosmetic’ issues also affect their children’s overall health and it becomes impossible to achieve optimal oral health without addressing them. An overbite is one of the most common issues corrected by a pediatric dentist in Murray. This is identified when your child’s upper teeth protrude over the lower ones by about 30-50%. An overbite is medically referred to as malocclusion. Though a large portion of overbite cases is attributed to genetics, they can also occur due to underdevelopment of the jaw, tongue thrusting, and prolonged bottle feeding. If your child has a severe overbite, the lower front teeth will come into contact with the gums behind the upper teeth. The reverse also happens since the upper teeth will be in contact with the outer gums of the lower teeth. Both of these contacts with the teeth will damage the gums by constantly poking them. This eventually leads to infections, gum recession, and eventual loss of teeth. Weak dental enamel is the leading risk factor for constant dental fractures, sensitivity, and untreatable dental caries. An overbite causes your child to overuse some teeth at the expense of others. This overuse causes premature wear of the surfaces of teeth, which are used continuously and erodes their enamel. Vigorous brushing in an attempt to get rid of the brown stains associated with enamel erosion only worsens the issue. Sleep is one of the critical elements for the healthy growth of your child. An overbite, unfortunately, increases your child’s risk of developing sleep apnea. In this condition, his/her tongue periodically falls back when he/she is asleep and obstructs the airway. The obstruction causes a sleep distraction and keeps waking your child up; therefore, affecting the quality and duration of the sleep. Overbites also contribute to temporomandibular disorders in children. This is because they overstretch the temporomandibular joint. The condition is characterized by headaches and chronic jaw pain, which are only evidenced by frequent and prolonged crying episodes in children. The most common treatment option for an overbite in children is the use of dental braces. 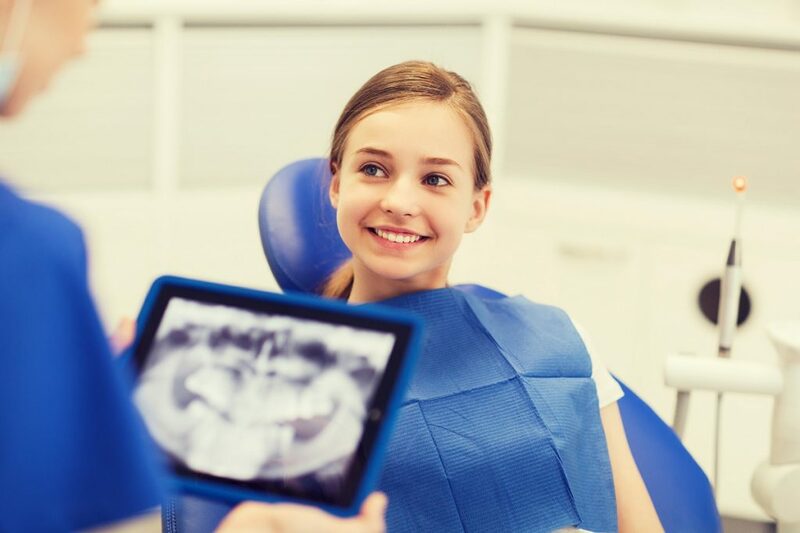 Before the braces are applied, the dentist will take x-rays and make an impression of your child’s mouth. 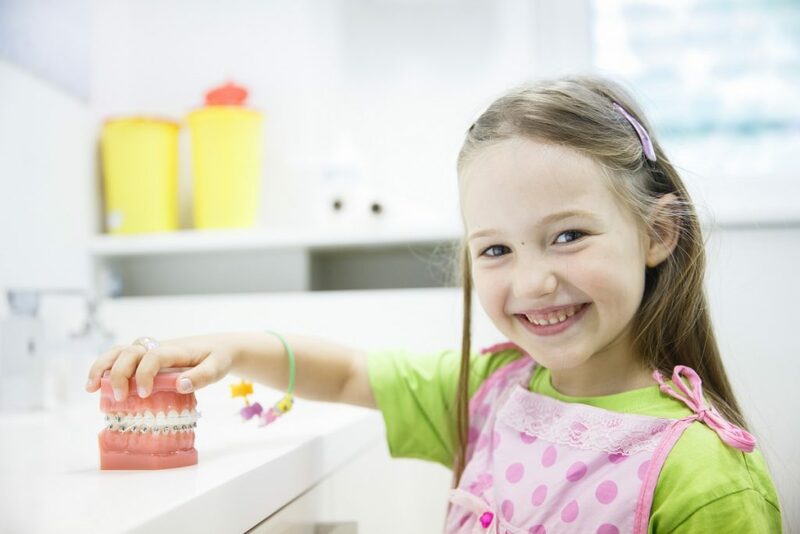 These steps allow the dentist to understand your child’s overbite better and tailor your child’s treatment to enhance its efficiency. Other appliances, such as elastic bands, might be used with the braces, depending on the severity of your child’s overbite. There exists no age limit on when you can seek treatment for an overbite. Most parents will wait until they notice one of the above issues before going for overbite correction. Unfortunately, at this time, treatment is more expensive and takes a longer time.